Oliver Patterson and his dad Jonathan make "moon sand," a doughy substance that mixes art and science, at the Santa Maria Valley Disovery Museum. Many have lamented the disappearance of the arts from public school curriculums. Over the past few decades, there’s been an emphasis on STEM—science, technology, engineering and math. But one local institution encourages turning STEM to STEAM by including the arts. Laura-Susan Thomas is an art teacher and former Disney Imagineer. She’s standing with a young child over a table of crayons, markers, paper, and fluorescent paint. Folklórico dancers from Righetti High School perform for the children at the annual Nat Fast Children's Arts Day. Thomas and other local artists were recently invited to the Santa Maria Valley Discovery Museum to teach children arts that aren’t normally offered, like comic book drawing and making glitter tattoos. It was part of the annual Nat Fast Free Children’s Arts Day at the museum. Fast, who died in 2013, helped create the Santa Maria Arts Council. You can see Fast’s watercolors displayed throughout the museum. Blasco said it was important to Fast that children be exposed to the arts. “The earlier you introduce children to the arts, the more well-rounded they are going to be in all aspects of life,” Blasco said. The Santa Maria Valley Discovery Museum is the only children’s museum in north Santa Barbara County. Blasco said the sensory and and tactile experiences the arts provide are crucial to their development, but aren’t available in public schools to the extent they once were. The Nat Fast Children’s Art Day is one of the free events the museum periodically offers. 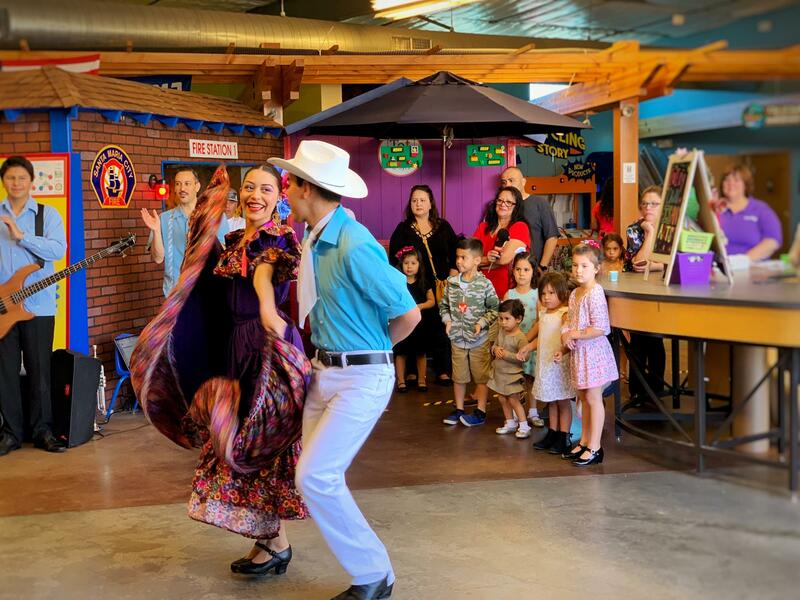 "We try to offer free days to our community because we do realize that while we keep our admission price as low as possible, at six dollars a person that can add up up for large families," Blasco said. 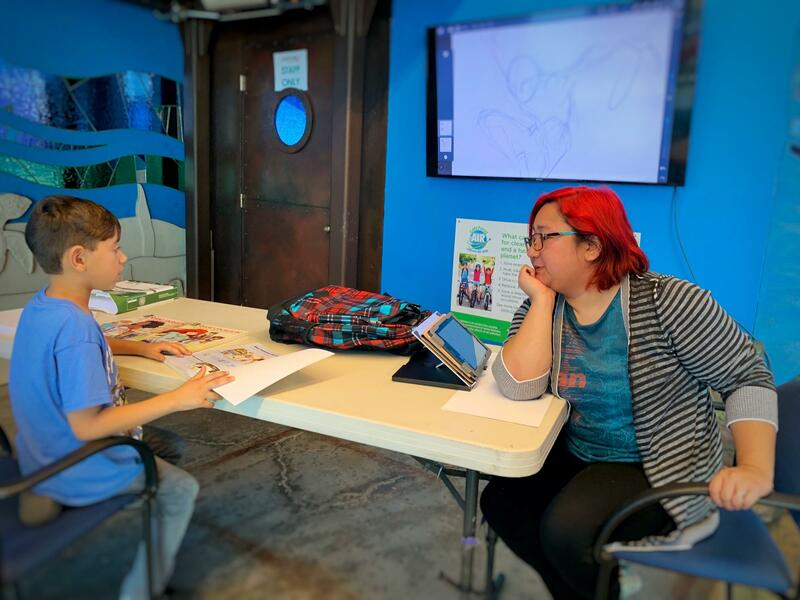 Professional illustrator Irene Flores shows Logan Collin of Lompoc how to draw comic book hero Spiderman on a tablet. One of the most popular activities is the "moon sand" station. Children and parents pack around exhibits director Leslie Anderson to sculpt the sandy dough made out of cornstarch and hair conditioner. Seeing children and families come together like this is one of Blasco’s favorite things about these events. Next January will mark the 10th anniversary of Nat Fast Free Children's Art Day. But the Discovery Museum has other free events on the calendar between now and then, including an afternoon called the "Nutrition Expedition" coming up on Feburary 10, 2019. The KCBX Arts Beat is made possible with funding from The Coastal Awakening Project, conserving a spirit of creative experimentation among Central Coast inhabitants. These days, many consider the arts scene in Paso Robles to be thriving. A new downtown mural adds to a blossoming of public art. But it hasn’t always been so. What is a life well lived? 40 people with 3,000 years of collective life experience answer that question in a new documentary film produced by San Luis Obispo resident Sky Bergman. A recent New York Times article named the San Luis Obispo Mission and Bubblegum Alley as “the top tourist draws in San Luis Obispo.” Local arts groups hope that someday the downtown might earn an official state designation as a “Cultural District,” highlighting more than history and kitsch. As part of this summer’s Festival Mozaic, renowned pianist Christopher O’Riley will push the boundaries of classical music by performing songs of the rock band Radiohead, alongside visual interpretations from photographer Bryn Forbes. So the question is: why Radiohead? In the earliest days of cartoon movies, hopeful artists had to make their way to Los Angeles studios to learn animation. Now, digital tools let students learn the basics in far more places—including Allan Hancock community college in Santa Maria, which offers an associate degree in the field. When you hear the term ‘digital storytelling,’ what do you think of? A Ken Burns historical documentary series? That’s one form. So are the animated videos from StoryCorps, which feature everyday folks sharing stories in an interview form.